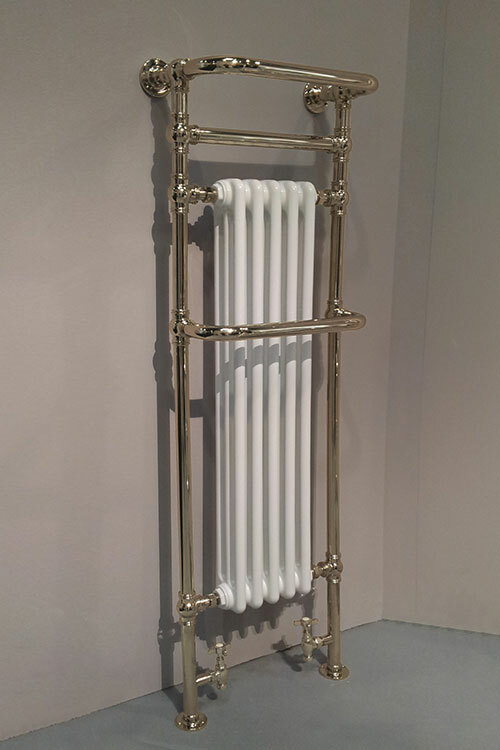 The Chester is a British designed and manufactured nickel plated towel radiator in a traditional Victorian style. 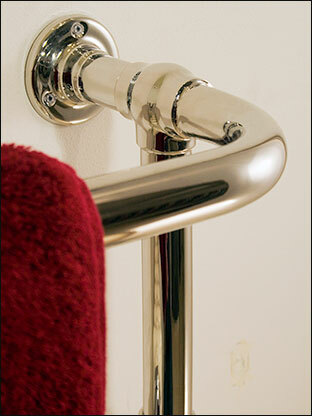 With its white interior column radiator this nickel towel warmer offers good heat outputs required in some bathrooms. 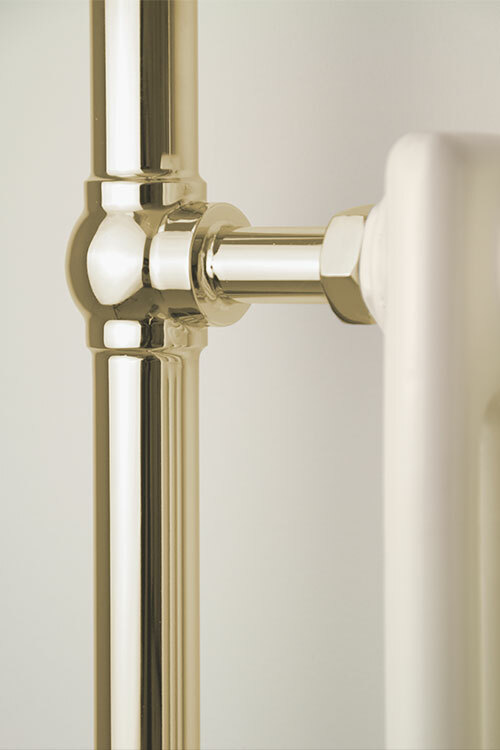 A luxury quality bathroom towel radiator made in solid brass tubing with a thick nickel plated finish ensuring a high shine and long lifespan. 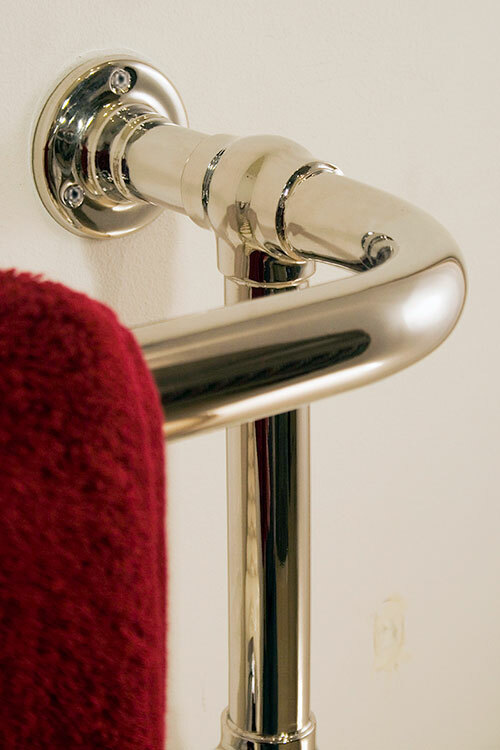 The beauty of this tall towel warmer is its multiple towel hanging bars, high heat outputs and reduced use of wall space, making this an ideal design choice for both small and large bathrooms. 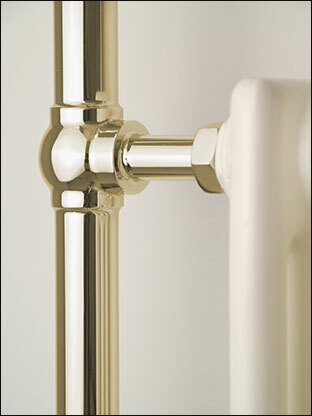 The Chester heated towel rail is available in the finishes of chrome, nickel, gold, and copper finish to special order. Please allow 8 weeks for delivery. 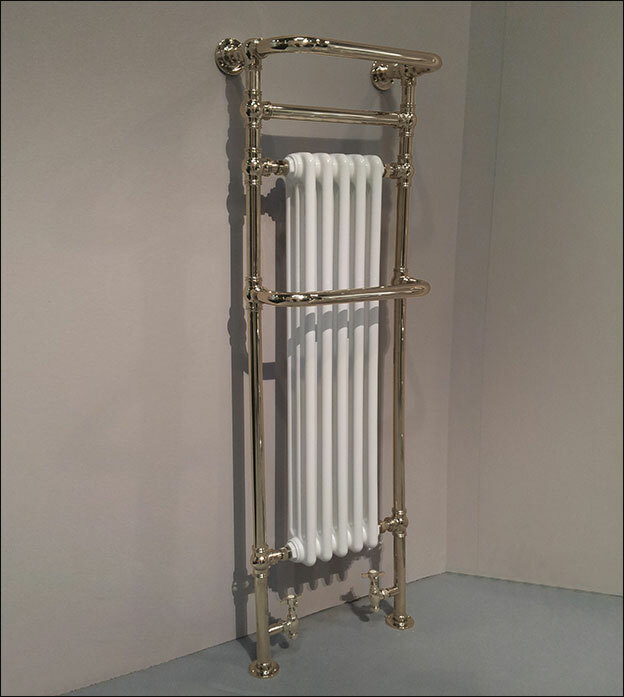 * Brass & nickel plated radiator. * Nickel finish to special order.